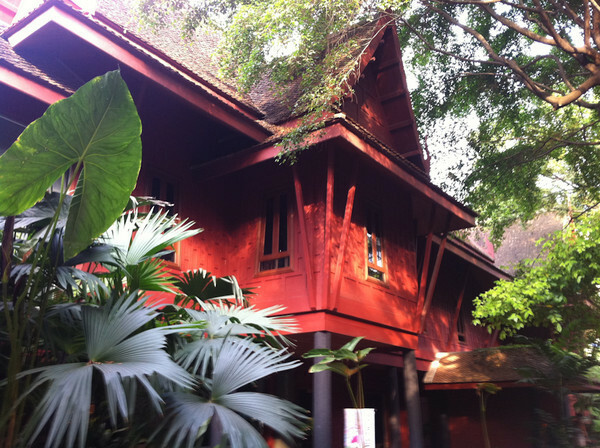 One of Bangkok’s premier tourist attractions, Jim Thompson’s house is also one of its most enigmatic too. Thompson was an American who originally worked in the Office of Strategic Services (OSS), forerunner of the Central Intelligence Agency (CIA), before radically changing his life in his mid forties and moving to Thailand. He fell in love with Thai culture and particularly Thai silks, becoming almost singlehandedly responsible for creating their huge popularity outside Thailand – despite never learning to speak a word of Thai himself. He became a local legend and for some, Noel Coward and Somerset Maugham amongst them, no trip to Bangkok was complete without dinner at Jim Thompson’s. His house is actually 6 traditional Thai teak houses connected together which are fascinating to walk around, not only for their architectural merit but because of the beautiful items to be found within. The house is a crash-course in the history of Thailand itself, housing tapestries, sculptures and paintings from the last millennium up to the present day. On one wall hangs a Thai horoscope – Thompson chose the auspicious day in 1949 marked by the astrologer to move into his house. The same horoscope predicted bad luck would befall Thompson in 1967 – and this was the year he disappeared after going for a stroll in the Cameron Highlands in Malaysia. No trace of his body has ever been found. The CIA connection has obviously provoked numerous conspiracy theories. Despite Jim Thompson’s House becoming a super-slick tourist attraction, the house itself still has a sense of palpable absence enhanced by the mystery of Thompson’s death. It’s a remarkably intimate building which, for tourists more used to traipsing through palaces and the like, makes it much easier to imagine Thompson at work, especially in the tiny study. William Warren has written Jim Thompson: The Unsolved Mystery , an excellent biography which provides the facts as they’re known about Thompson’s life and disapperance. Warren has also written the superb coffee table book The House On The Klong, which provides an exhaustive photographic record of Jim Thompson’s house. It’s peculiar that such a strange story has never have been made into a film. You can buy the book in the on site shop, and also have lunch or dinner in the surprisingly good value cafe and restaurant. 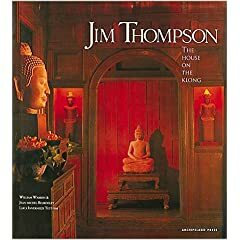 The official site is at jimthompsonhouse.com. Visit my page about Bangkok klong tours if you want to find out more about taking a long tail boat around the capital’s canals. Start Planning Your Bangkok Trip Now! :: Find available Bangkok hotels on Booking.com - usually you can reserve a room with no upfront payment. Pay when you check out. Free cancellations too. :: Find the cheapest flight to Bangkok with Skyscanner - one search will show you the prices and times from scores of airlines for your trip. A real timesaver. :: Book an airport transfer to take you hassle-free direct from the airport to your hotel with the driver meeting you in Arrivals. :: Buy a Thailand SIM card online to pick up at Bangkok airport on arrival in Thailand or a Pocket Wifi router which can connect up to six devices so you can have immediate internet access on your phone. :: Get travel insurance from World Nomads - make sure you're covered to protect both your health and your belongings. World Nomads lets you buy insurance online quickly and easily. :: Book bus, train and ferry tickets from Bangkok to the rest of Thailand with 12Go - easy to use website that lets you check timetables and buy tickets online. :: Need inspiration? Check our Bangkok Itineraries for ideas of where to go and what to do. 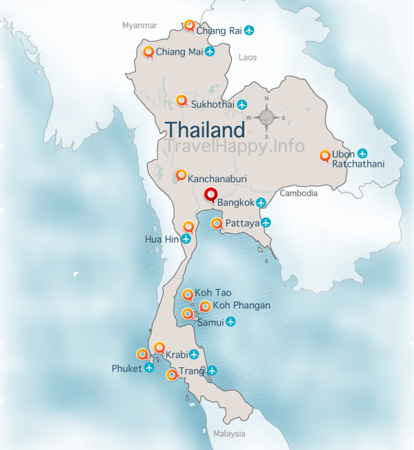 :: Explore our Bangkok Travel Guide for more Bangkok must-see attractions and helpful tips. iPod In Thailand – How Much Do They Cost? Travelhappy.info is a participant in the Amazon Services LLC Associates Program, an affiliate advertising program designed to provide a means for sites to earn advertising fees by advertising and linking to amazon.com, amazon.ca and amazon.co.uk. Travelhappy may be compensated for any bookings made through Agoda.com, Booking.com, Skyscanner.com, WorldNomads.com, GAdventures.com and any other commercial travel organisation featured on this website.